Owning a cabin in Blue Ridge, Georgia is a dream come true for so many people, including private owners and owners who rent their cabins. In Fannin County alone, there are over 4,000-second homes and most of these are vacation cabins. 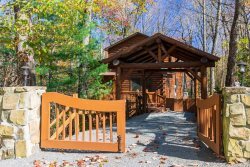 Some cabin owners choose to hire a rental management company like Georgia Mountain Cabin Rentals to keep their cabins fully occupied year round with vacationers and to keep the properties well maintained. There are several design considerations with vacation cabins that can provide the cabin owner a competitive advantage over other cabin owners when it comes to keeping the cabin occupied most of the year. Currently, Georgia Mountain Cabin Rentals manages numerous vacation cabins, and the neat thing is, GMCR's owner Paul Gribble has personally built 10 of the cabins we manage. It's been a great pleasure designing and building the cabins in the Georgia Mountains in and around Blue Ridge. Because of the combined experience of building and managing these vacation cabins, GMCR concluded there are several design features that give some cabins an advantage over others when it comes to staying occupied. Here are the cabin design configurations we've learned work best! What is the best location for your rental cabin investment? Location here in Blue Ridge does not necessarily mean a zip code, school district or a "south side of the train tracks". No, in Blue Ridge the best place to have a rental cabin with respect to maximum rental occupancy would be in one of two locations: a mountain view or waterfront view. Cabins with big mountain views like our Azure Ridge cabin are highly sought after by folks from Atlanta and Florida and the East Coast. People are looking for a great North Georgia mountain getaway and they can find plenty of these excellent locations right here in and around Blue Ridge. People can relax on the porches of these cabins and enjoy the splendor of the majestic blue mountain vistas for hours and hours. And there are a couple types of mountain views to choose from. First, there are short range mountain views where you can see individual trees and other features close-up. Many of these views are closer into the thick of a forest setting where you can hear the sounds of the forest birds, the trees growing or the leaves falling. Second, are the long range mountain views where you see layer after layer of Blue Ridge mountain scenery, valleys, and skies for miles and miles, sometimes up to 60+ miles. The mountain view locations are something that people enjoy all year round, especially in the Fall. The other type of location that will give your vacation cabin a competitive advantage is a location next to a creek or lake. Access to water helps make a vacation more enjoyable, especially if the creek is Bear Creek and you're enjoying Bear Creek Lodge that runs through the yard and sends beautiful soft notes through the night air, or the lake has a dock to jump off into awesome summer waters. Our cabins along Fightingtown Creek tend to be booked all year long, especially in the summer and fall. The cabins along the Toccoa River experience the same excellent occupancy rates. When people can place their feet into the water, whether it's a creek, river or lake, they are so happy as the cares of the big city float away. And while there may be lower occupancy in the winter along a creek, river or lake, people will tend to book the mountain views and vistas to enjoy the sounds of the forest music. What do rental customers always ask for? There is a long list of what people like and what they look for in the Blue Ridge vacation cabin. One very popular design is the open floor plan. Open floor plans that are spacious are always good, and a big extra is a separate bathroom for each bedroom. Open floor plans with a spacious living room provide for gatherings, Blue Ridge style. Families and small groups get together around the fireplace and enjoy a meal and a festive vacation air. We all love to get away from the city and play with friends and family while cooking, and an open floor plan tends to bring in more natural light with larger windows so that the Blue Ridge that's outside becomes part of the inside. A bathroom for each bedroom is always a perfect end to any conversation about who gets to sleep where. Lets say there are 3 couples coming to your 3 bedroom and if it only has 2 bathrooms, then who gets the master bedroom and who gets to share? Having a bathroom for each bedroom will make your cabin rent more often. Also, to make things go even better in the conversation, design each floor with a master bedroom with a private bath. Families and small groups are much more friendly in properly designed vacation cabins. An all-wood interior is one of the most requested physical amenities in a vacation cabin, and the next most requested is probably an all-wood exterior. When people come to rent cabins in Blue Ridge, they're not looking for vinyl siding on the outside and plaster board on the inside. They want to rent a real cabin worthy of our famous Blue Ridge attitude, like Bear Pause. They want to see and touch all-wood exterior that matches the surrounding forest. Then once inside they want to see, touch and smell the Blue Ridge wood. Then and only then are your special guests given then sense that they are free to roam the entire Blue Ridge wilderness, from the living room to the hill-tops outside. Only then are they free to experience to the entire mountain and its culture. They are free to vacation in Blue Ridge, Georgia USA. Another popular physical amenity is the great outdoors immediately surrounding the cabin. If you are on a mountain top with great mountain views, chances are you may not be able to have much of a yard because of the steepness of the mountain top slope. In that case, it is best to have an outdoor fireplace on a covered porch with seating. Being able to sit around an outdoor fireplace is a huge attraction when booking for a cabin rental, so placement of an open fire pit with seating makes very good use of the outdoors. If your cabin sits on the waterfront there is a good chance you can have a yard or an area to put horse shoes or other outdoor activities. And with any cabin, having a large porch and/or deck is wonderful especially for scenic vistas. The best cabins have a mixture of them, with some being open and some being covered so they can be used even if the weather is less than perfect. Now that we have decided the location, the views and the interior/exterior design of our Blue Ridge Cabin Rental, what do we put in it? This is an extremely important question to answer but a question that does not have difficult answers. The answer may be hard to swallow, but like it or not? We can give them the Blue Ridge Mountains. We can bundle the mountains with a lake and a dock, and give them a cozy fireplace in a spacious living room, and a babbling brook outside next to the fire pit. But if we don?t put a flat screen TV in every major room inside the cabin, we might as well burn the whole place down as occupancy rates plummet. If you want the highest and best use of your cabin you need to supply it with the items that people want. When done correctly this will lead to rental after rental, and also will cultivate rentals by having repeat and referral to the individual cabin. Ok, so we have the necessary TVs. Even the affordable models work great and will keep them entertained as long as you subscribe them to a good cable service with 300 channels. But the next big design decision is the furniture and the furnishings. When you have great photographs of nice furnishings on the website, cabins will book sooner and more often get repeat visitors. And whatever you do, do not forget high-speed wireless internet when designing your vacation cabin. Here in the Blue Ridge cabin rental center-of-the-universe, we used to advertise "Leave your work at home and come to experience the Blue Ridge Mountains". Nowadays, we have changed that advertising slogan to "Bring your work, wouldn't you rather work with this as your office". The Internet is key, all kids both big and small want to link-up with their smartphones and tablets and laptops and people can indeed work during their vacation, believe it or not. But guess what? By bringing some work with them, they can often stay longer, and they don't go through painful work-withdrawals 48 hours after leaving the office. 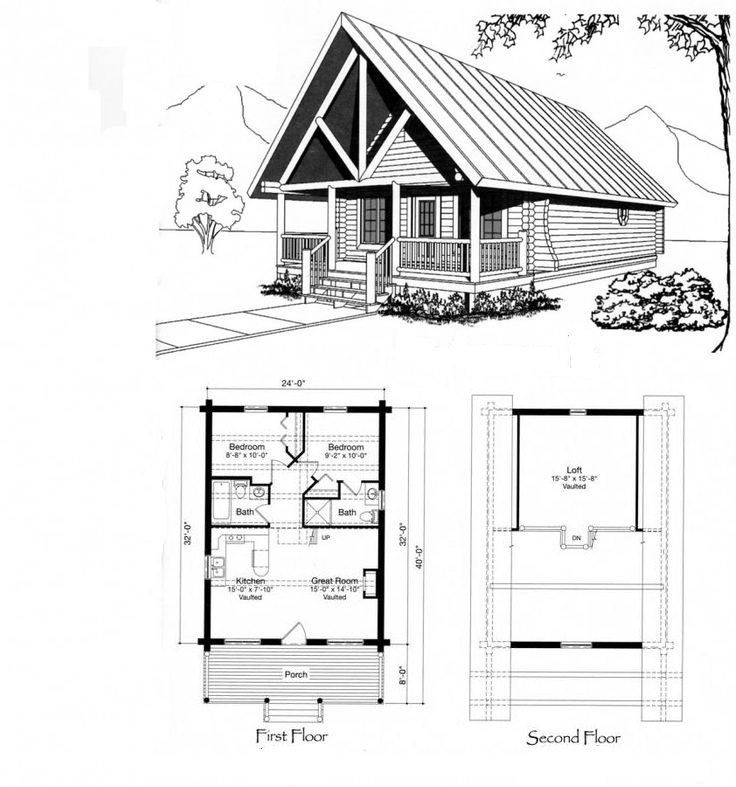 In conclusion, to design the best rental cabin in Blue Ridge you can follow these simple design guidelines. Call us with all your cabin design and investment questions (877) 656-7368. We have a locally grown real estate team that can help you find the best-designed cabins and locations.